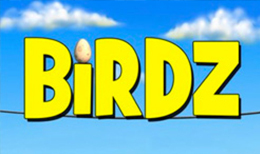 Set high on a telephone wire, Birdz is an entertaining cascading slot. Match 3 to 5 Birdz of the same colour on any of the 30 payslines for a chance to win big! Packed with no less than 6 bonuses, including the Zap feature, which allows the symbols to 'cascade' creating new winning opportunities.